We had despaired of never having another record from The Tyde. Perhaps Darren Rademaker, Mr. Tyde himself, had similar thoughts. After all, the last record of original material -- and their third overall -- was released in 2006. We haven't been completely without Rademaker, not only via the past albums but also via the fine compilation of the songs of California rockers Further, the Rademaker brothers' '90s project, courtesy of British label Bad Paintings (review here). And fortunately for us, in addition to catching waves when the swells are good, Darren didn't stop writing songs. So now we have album four from The Tyde: Darren 4. The album begins with the upbeat tune "Nice To Know You", a friendly combination of '80s British guitar pop and California sunshine. The following "Ode To The Islands" has an appropriately sunny, tropical vibe. Third in line is the flowing Laurel Canyon psychedelia of "The Rights". The showpiece song of the album is "The Curse In Reverse", with co-vocals and guitar from former Suede guitarist Bernard Butler. I think it will stand as one of the best ever songs under The Tyde banner. The perfect follow up is offered by the California jangling country romp of "Rainbow Boogie". The album ends with the reflective "Situations" and poignant "It's Not Gossip If It's True". As compared to his work in the '90s and '00s, Darren 4 finds Rademaker older, and possessed of many additional life experiences -- and not all happy ones. What hasn't changed is his ability to channel his thoughts and experiences into meaningful and entertaining music, and his innate feel for a pop song. The result is an album that reflects the sunshine of summer, and the hints of decay that come with autumn. I hope this album doesn't drop quietly, because it is a powerful, top quality record, and will stick with us long after many other releases are put back on the shelf. The line-up for this album is Darren Rademaker, Ben Knight, Brent Rademaker, Colby Buddelmeyer, Richard Gowen, Chelsea Larkin, Paige Stark, Rachel Dean, Andres Renteria, and Neal Casal. 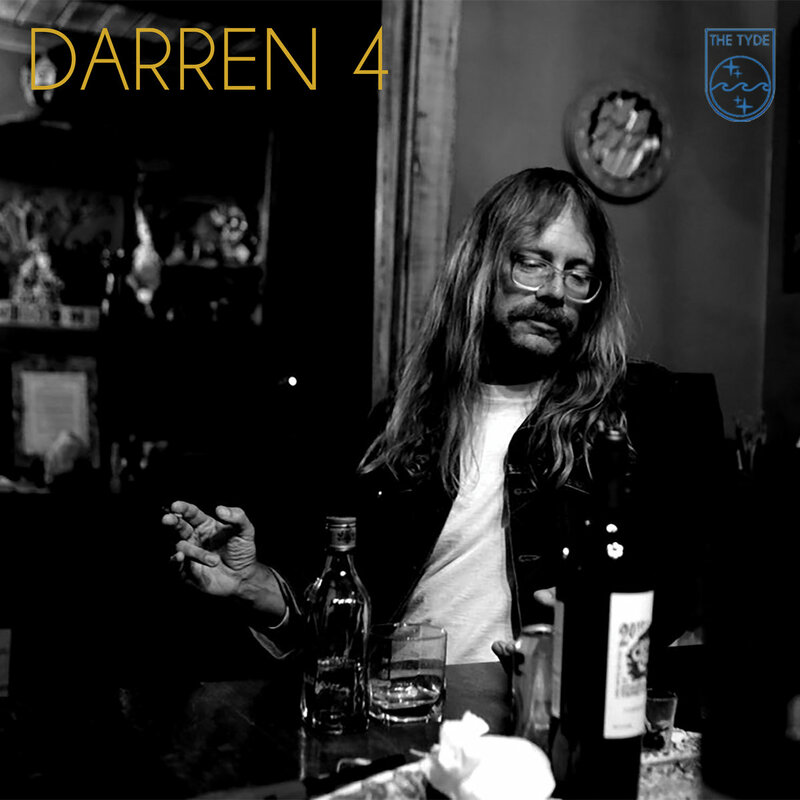 Darren 4 is released today, September 9, on vinyl and digital platforms via Spiritual Pajamas and on cassette tape via Burger Records.